I’ve written an updated version of this post because there some helmets that will fit big heads have come onto the market since this original post was written. Whether it’s due to excess brains or empty space, I have a larger than average head. This makes it hard to find any headwear that fits. Anything marked “one size fits all” does not seem to include me in the definition of “all”. This might be only an annoyance if I were not a rock climber. I need a helmet to protect my head from falling rocks, dropped bits of gear, impacts and banging my head against overhangs (which is a habit of mine). If a helmet is to protect my head properly, then it has to fit properly. Unfortunately, my big head means that the selection of helmets that will fit me is small. Me wearing a Grivel Salamander XL helmet. At a little over 62cm in circumference, my head is too big for Black Diamond’s popular Half Dome helmet as this has a maximum size of 61.5cm. All helmets by Wild Country have a maximum size of 61cm. Petzl’s Meteor III+ helmet and Elios helmet both have a maximum size of 61cm. This is also the maximum size of Mammut’s Skywalker 2 helmet. 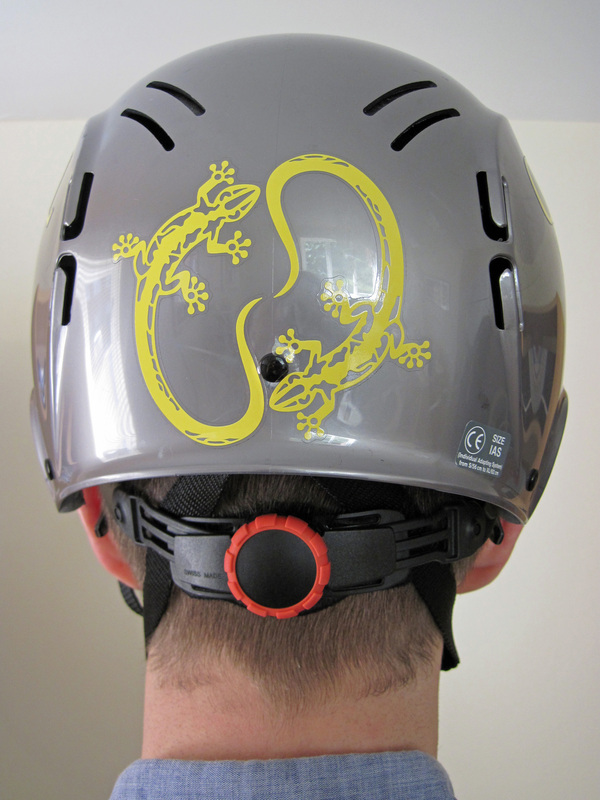 A quick internet search shows that I’m not the only climber whose head is bigger than 61cm in circumference and so I have written the following helmet guide for those with generous heads. 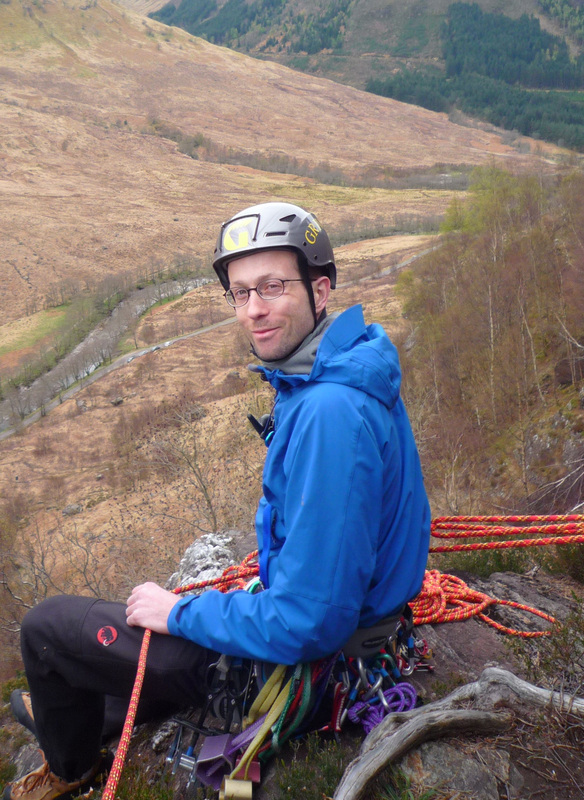 The British Mountaineering Council (BMC) has published an excellent guide to helmets and it’s well worth a read if you want to understand what types of helmet are suited to different activities and how to care for your helmet. To help the rest of this review make sense, I have summarised below some key points from the BMC. As the BMC guide says, the “best helmet is a good fit, is comfortable, and is affordable.” You need to try helmets on to see if they fit; don’t buy if they move around or are uncomfortable. If you plan to use your helmet outside the summer months, then make sure it’s big enough to allow you to wear a hat or a hood underneath it. A helmet must also be suitable for your needs and the activities that you will be wearing it for. There are three types of helmet and the different characteristics of these three can go a long way to determining if they are what you need. A hard, tough plastic shell with a flexible, internal cradle of fabric webbing. Advantages: good at withstanding top impacts (e.g. falling rocks) and durable. Disadvantages: offer little protection for impacts around the rim and tend to weigh more. Best for mountaineering and longer routes. Usually an expanded polystreme (EPS) with a thin polycarbonate shell. Advantages: offers greater protection for impacts around the rim and is low weight. Best for shorter routes and outcrop and sport climbing. Basically a halfway house between hardshell and foam helmets, they have a rigid plastic shell with a foam inner. Advantages: all-round performance that draws on the advantages of hardshell and foam helmets. Disadvantages: only really protects around the rim if foam is present. Best for all-round climbing and mountaineering. The Ecrin Roc is a bit like the shark or the crocodile. It’s a design that just works and so hasn’t needed any real change for a long, long time. 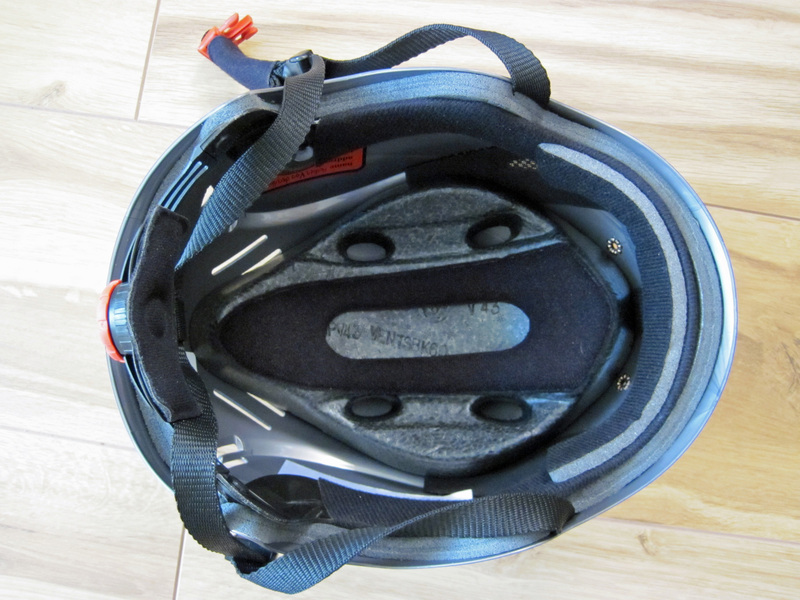 It’s a hardshell helmet that uses two wheels in the rim to adjust the headbank and the nape strap. These make it easy to adjust and, with a maximum size of 63cm, it fits a bigger head. With only the headband and a cross of webbing touching your head, as well as plenty of vents, it’s also comfortable to wear. With its durability, unfortunately also comes bulk and weight. The Ecrin Roc weighs 445g and even generously designed helmet-compatible hoods will only just fit over it. Unfortunately, it has been reported that Petzl has discontinued production of the popular and well-liked Ecrin Roc from February 2012. There are still likely to be some in the shops for a while yet, but when they are gone there will be one fewer option for big-headed climbers. The standard size Grival Salamander is a popular helmet. The Salamander XL is really just a bigger version of it that Grivel markets as meant for those who need to wear a lot of hats (because they are going somewhere very cold) or have big heads. As its maximum size is 66cm, it’s almost over catering for this market. Rear view of the Grivel Salamander XL. The Salamander XL is a hybrid helmet with an outer shell of ABS and an inner layer of shock absorbing polystyrene foam. Most of this foam protects the top of the head and there is a thinner band of foam around the rim. Although the Salamander XL is quite high at the front, it comes notably further down the sides and back of the head than the Ecrin Roc and so provides more coverage overall. This is not an easy helmet to adjust. The wheel at the back of the helmet that tightens the rear of the headband is fine, but the locking clasps on the chinstrap take a fair bit of playing around with to lock to the right fit. If you don’t need to adjust the chinstrap often, this is alright. It’s a comfortable helmet and weighs just 320g. Unfortunately, not many places sell the Salamander XL. If you are going to buy one online, take care that you don’t accidentally get sold the standard Salamander. Interior view of the Salamander XL. 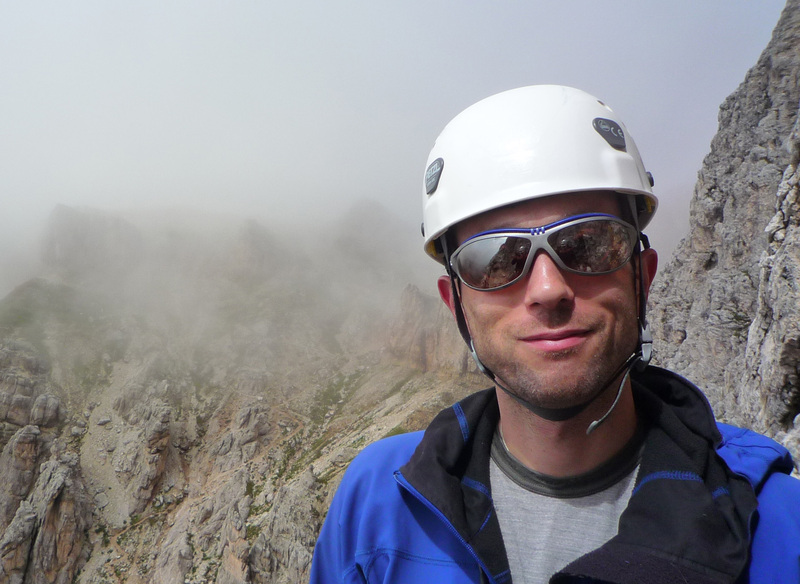 There are a few other helmets that look like they might work on a bigger head, but which I’ve never worn climbing. The Edelrid Shield II is a foam helmet that comes in a large size that will fit a head up to 62cm and weighs a light 274g. I’ve tried one on in a shop and it just fitted, although it did sit quite high on my head and so it is unlikely to work for some people. The Shield II is very comfortable and looks nicely thought-out. Unfortunately, my fiancée thought that it’s high and narrow profile and white colour made me look like a Roswell style alien. She fell about laughing as soon as I tried it on. The Black Diamond Tracer is a foam helmet that fits a head up to 63cm and weighs a very light 245g. Black Diamond has also just introduced the Vector helmet, which has a large size that fits heads up to 63cm and is an incredibly light 240g. It made of EPS foam with a polycarbonate shell. If any big-headed climbers have tried these other helmets out, then I would be interested to hear their thoughts on them. UPDATE: climbers don’t just need helmets, they often need hats too. This is why I’ve written a review of woolly hats for big heads. UPDATE: I’ve written an updated version of this post that reviews the Vector and a variety of other helmets that weren’t on the market when I wrote this original review. Thanks Paul. I’m pleased you like the post. It looks like a useful site and it’s nice to know that there are companies out there catering for those of us with generous heads. Many thanks for a useful post! 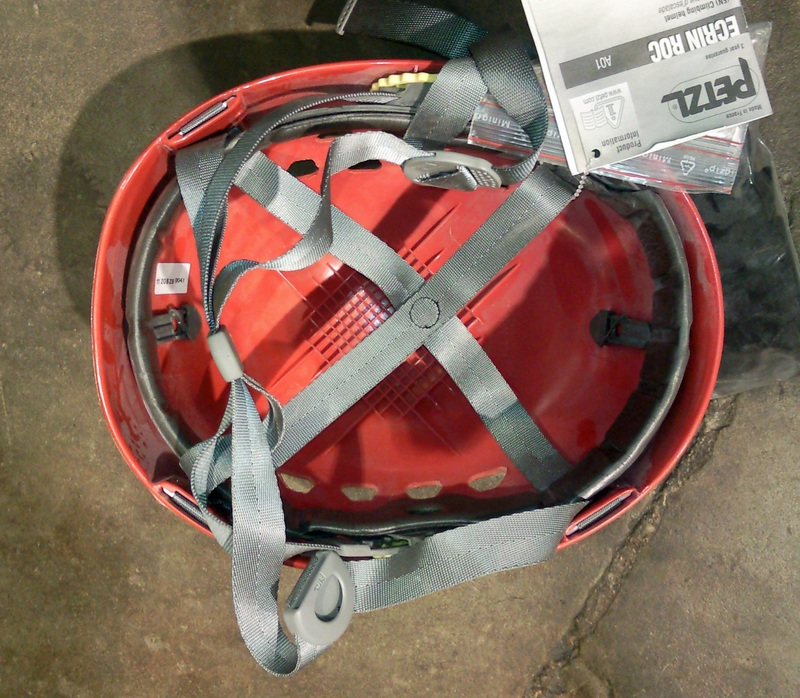 I’ve just taken delivery of a Petzl Elios, whose size at a maximum 61cm is a little too snug. A balaclava or hat underneath would have been uncomfortably tight. Thanks to your advice I now know a Salamander XL is the solution. Again, thanks for the advice and happy climbing/mountaineering/blogging! Rob (North Wales). Thanks Rob. I’m glad it was useful. Thank you so much for this! The circumference is only the half of it. The other is the shape. Oblong/Ellipse or Circle/Round. I got an Ecrin Roc because the circumference measurement said it would fit me, front-back it was fine, but it squeezed the side of my head. I’ll try out the Salamander XL. Hopefully it fits! Very good point and tricky to deal with. I hope the Salamander XL works for you – let me know how you get on. I have been searching everywhere for someplace to order a Salamander XL, but no luck. Can you offer any advice? The Salamander XL is still on the Grivel website, so I’m guessing that it’s still made. Unfortunately, it always seems to have been a little harder to get hold of as I’ve never seen one for sale in a shop and mine was bought online. I can see your problem though, as my quick Google search found it sold out on in the online shops I’d look in. I’ve only got three suggestions. The first is to find a friendly shop that sells other Grivel products and ask them if they will order one in for you. The shop will obviously have a relationship with the supplier, it’s just a matter of whether they want to go this extra mile for a customer. My second suggestion is to get in touch with one of the online shops that sell the Salamander XL and which are currently sold out to ask if they will order one in for you. With both this and the first suggestion you might have to pay in advance or give a deposit. My last suggestion is, I admit, not necessarily that helpful but might work in some circumstances. The Salamander helmet isn’t particularly widely sold in the UK but is very widely sold in continental Europe. It’s possible that you might be able to pick up a Salamander XL more easily in France, Switzerland, Italy, etc. Obviously, this idea only works if you happen to be in one of those countries or know someone who is heading that way. Good luck. Let me know if you manage to find one. Fantastic! It’s good that somewhere is stocking them again. Thanks for pointing me in the direction of the Grivel Salamander XL. I had a guest for top-roping yesterday who had an enormous cranium, I think he said 8-1/4, hope so, because that’s 66 cm and the rated limit of the Grivel. Suggestion: Put your text in text boxes. It’s annoying to try to read text with this beautiful but variable background. Oh- never mind that last part, it appears my browser did something strange and put all your text right over the rocky background. I see now (above) this is all in text boxes and very clear, thanks! I just located and purchased the Grivel Salamander XL on Amazon, or more accurately, Amazon Smile (a portion of sales goes to the charity of your choice). Thanks again for this recommendation! I’m glad you found the post useful and managed to buy the helmet. Your client certainly has an impressively sized head and I hope the helmet works for them. Reading your thoughtful and intelligent article made me think that this could only be the product of someone with a big head. I too have a big head which first became apparent to me as a child when trying to don a batting helmet in little league baseball and ending up looking something like an Egyptian from the wall of King Tut’s tomb. It has been a struggle, literally, to find hats to fit my planetoid (which unlike Pluto has not been down graded in status) and I think I will definitely purchase the Salamander XL on line. If my calculations are correct I shall be right at 66 cm. Thanks Big Head Bob. I’m pleased that you liked the post and that it was useful. I hope the Salamander XL is a nice, comfy fit for your planetoid. The catalyst that started my search was that I purchased at a thrift shop for the princely sum of four dollars is what I believe to be a “Joe Brown” helmet. It is a classic red-orange beauty in very nice shape. There are no brand markings as such but on a sticker on the suspension it reads, “Fibreglass ‘Supermodel’ Av. Weight 650 gms, Handmade in N. Wales U.K., 1988/9”. Do you recognize any of this infomation and is it a “Joe Brown”? Sadly, for me, it is a medium does not fit my massive cranium. What was the largest size “Joe Brown” manufactured? The classic look of this helmet conjures up my feelings towards the “Ecrin Roc” and browsing E-Bay at the moment they are priced from thirty six dollars used up to one hundred twenty dollars new. Just to give you a little perspective about myself I live in the Seattle area in the USA and we have the Olympic Mountains to the west and the Cascades to the east and big old Mount Rainier to the south which make up my stomping grounds. I would say that I am a definitely a hiker rather than a climber however this might change with the correct helmet. I really enjoy reading fiction about mountain climbing from the safety of an armchair. I A book that comes to mind at the moment is I think is titled “One Green Bottle” about rock climbing in Wales, have you read it? Anyhow, thanks for letting me prattle on and I look forward to your answers. I’m afraid that I don’t recognise the markings on the helmet, but it’s quite likely it’s one of the helmets made by Joe Brown if it was made in North Wales at that time. There’s a good article in Alpinist magazine on Joe Brown helmets that backs up that conclusion. I’m afraid that I also don’t know what the largest size was that these helmets were manufactured in. I’ve not seen anyone actually climbing in a fibreglass helmet like that in years, mainly because they are so heavy and hot compared to modern helmets. I also wonder if they are still safe to use after so much time. Those types of helmet were originally very tough, but if they degrade like modern helmets, then it wouldn’t be safe over 25 years after it was made. What do you think? Even if you don’t want to climb in it, that helmet’s a good memento of a classic climbing era. It’s a real shame that the Ecrin Roc isn’t made anyone as it was a do anything, fit anyone helmet. Maybe that classic look wasn’t selling any more. I keep a look out to see if there are any helmets that come close or otherwise work for guys with who are similarly well-endowed above the shoulders, but I don’t have much luck. I’ve been trying out the Black Diamond Vapor recently, which I really like, but it only goes as big as 63cm and only just works for me. I’d not heard of One Green Bottle before you mentioned it, but now that I’ve Googled it, it looks like a good read and I’ll add it to my reading list. I know your part of the world a little as I spent a summer working in Paradise in Mt Rainier National Park when I was at university. Beautiful place and I really liked Seattle – the sort of place that I’d love to live. This is a desperate plea! I’ve waited 4 months for a salamander xl to come up on eBay but to no avail. You seem to have many helmets – you wont miss it…..would you sell me yours? My head is a mighty 64cm and i need a helmet in 2 weeks. Help! Btw -Feel free to tell me to bugger off! I’m very sorry, but I don’t have mine any more. I would try one of the Salewa helmets I mentioned in the post. I hope you find a helmet. Thanks for the reply, I’ll check out the salewa and get a crewcut!